Applying to universities abroad is a complex process. Time of applying, type of profile, application essays, letters of recommendation, etc. all play a part in determining the best-fit university for you. At Jamboree, we realise that each profile is unique and therefore, needs individual attention. Moreover, our efforts are also streamlined by student preference for colleges and countries. 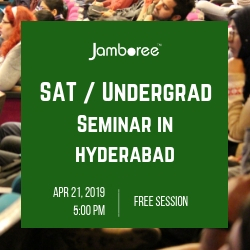 To help a student achieve his or her dream of studying abroad, Jamboree has tie-ups with quality universities in all major countries including US, Canada, New Zealand and EU. How are we equipped to assist you and why should you choose us? Extensive Tie-Ups - We represent a number of educational institutions worldwide, allowing our students the flexibility of choosing from a lot of study abroad options as per their need and desires. Complete and Transparent Service - We believe in providing the best quality service to students by keeping them updated at each and every stage of the admissions process, right from choosing the universities until the visa stage. Student involvement – We realize the importance of maintaining smooth communication with students and keeping them involved during the entire process. Keeping this in mind, we are dedicated to providing hassle free service to the student. Honesty – Honesty is one of our core values. We believe in giving complete and accurate information to the student. Providing Guidance – We believe in giving valuable advice and guidance to the student. This helps us eliminate all doubts that a student may have or is apprehensive about. Our counsellors are trained to provide you with the best advice. Professional Attitude – We believe that a professional attitude in the workplace has a positive influence on students and that professionalism generally leads to trust and credibility. A wide range of programs available for Bachelors, Masters and MBA. How are Jamboree Alliance Admissions different from the Jamboree Admissions Cell? 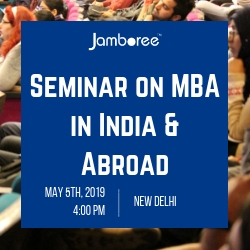 Jamboree Alliance Program is designed for students who are extremely focused on going abroad and are looking for cost-effective and scholarship-friendly college options. Under this program, we have a select and elite group of colleges with whom Jamboree has close relationships. This enables us to discuss the student's profile with the alliance colleges and provide the best possible course and fee options for the student. Our tie-up with these institutes enables us to provide this service at a much lower cost than our regular Admissions Counseling service. 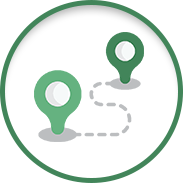 Schools at strategic locations: Boston, New York, San Francisco, Miami, Amsterdam, Nuremberg, London, Dubai or in small towns—experience the benefits of lower cost of living, a safe, clean & pristine environment and unique local culture untouched by urbanization.